A part of the 30 year masterplan, Al Falah Community is one of the biggest single developments in Abu Dhabi The site is located about 40 km east of Abu Dhabi city centre, close to the International Airport as well as Yas Island leisure parks and Saadiyat Islands cultural district. The development will be a complete residential community with 5,000 villas, 2,300 town houses, 2,100 apartments, 1 hospital, 1 shopping mall and 14 schools. The geotechnical investigation showed up to 18 m of a superficial deposit of loose to very loose silty sand underlain by sandstone and mudstone. 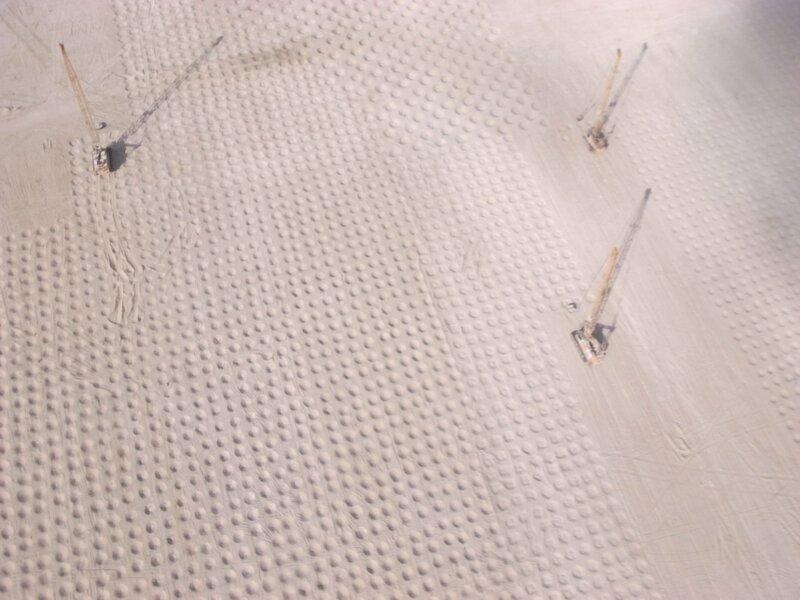 Ground water table was observed at the average depth of 15 m. Menard undertook the ground improvement of 4,841,520 sq. meters with 11 dynamic compaction units during 7 months. 3 boring units worked 6 days a week, 24 hours a day. A mechanical team also worked double shifts to maintain and repair machines subjected to harsh conditions. 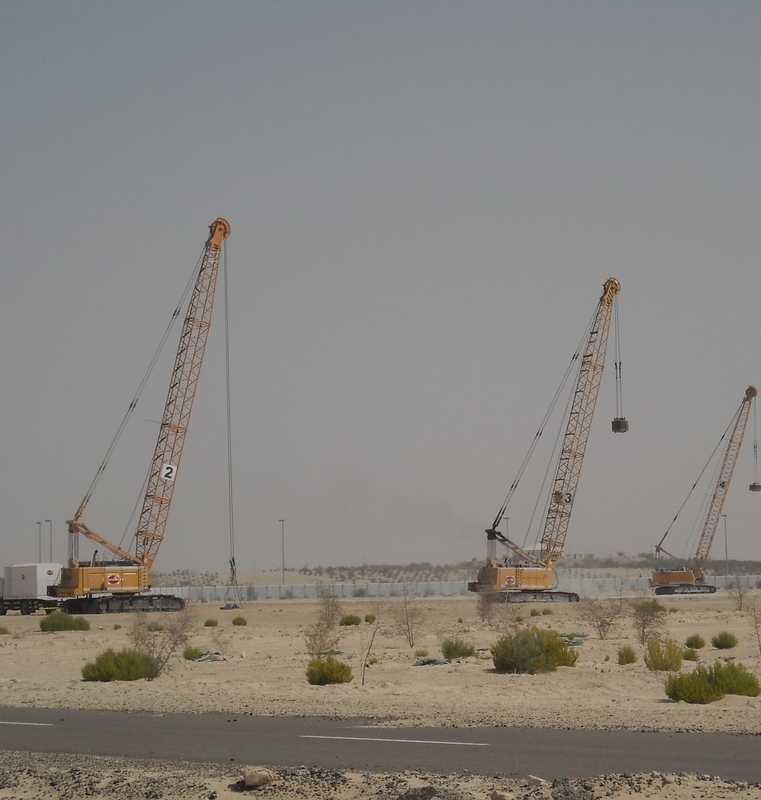 11 cranes and 3 boring units were progressively mobilized over a six week period. A ling base was also set up on the edge of the site to house the 120 people wirking on the worksite. It included offices, housing and a cafeteria open 24 hours a day.